AOBO W3205 - HANGZHOU AOBO TELECOM - HangZhou AOBO Telecom Co., Ltd.
»No fan design, low consumption. 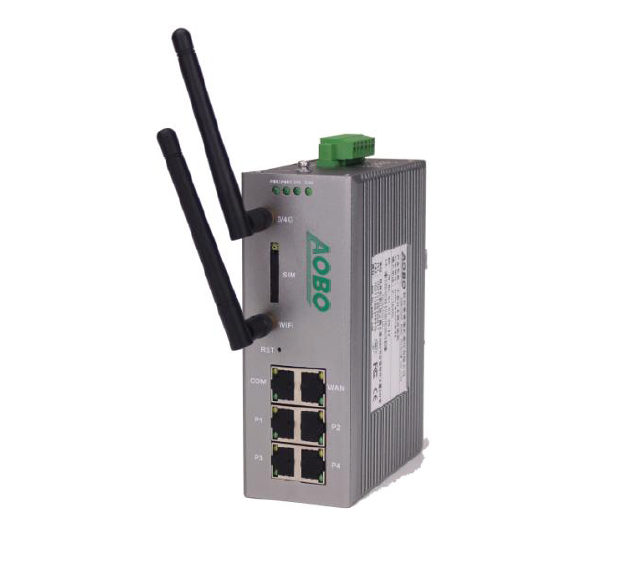 AOBO W3205 serial products are industrial grade, redundancy power supply, DIN-Rail installation wirless 3G/4G router, it can support maximum 4 port Ethernet LAN, 1 port WAN, 1port WIFI and 2 port 4G full Netcom slots. Industrial grade 4 design , aluminum alloy metal shell. Wide work temperature of -40℃～+70℃ to meet the harsh requirements of all kinds of industrial field. It adopts high-performance industrial grade wireless module, more stable and more accuracy, it provides reliable and stable network communication for unmanned system. These products can be widely used in electric power, new energy, Oil & Gas, transportation, security, and other fields.